Mangaluru: The underworld element Ravi Poojary, who was arrested in Senegal in West Africa is preparing for a legal fight and has appointed separate lawyers to argue with the police there. Three weeks backs, Ravi Poojary who was in possession of a fake passport was arrested in Dakar by Senegal police through Interpol and subjected to interrogation. Currently, efforts are being made by Karnataka and the police here for the extradition of Ravi Poojary through the Interpol and the Indian Embassy in Dakar. But, it is being said that Poojary is attempting to legally fight the Senegal police and escape from there. Poojary has appointed local lawyers through his business-activities associates in Senegal to fight his case legally and somehow attempt to escape from the clutches of Senegal police. Therefore it is essential that the necessary documents for his extradition to India must be submitted by Karnataka as well as the police from other states at the earliest, inform sources. In case, if our police delay in submitting the proper documents, there is a danger that Ravi Poojary will escape. This is so because he is already conducting several business including hotel business in Senegal as well as in many other countries in western Africa through his association with several local businessmen there. It is being said that in this way, he may calculate his attempt to escape by showing that he is a businessman and thus escape from the accusation of Indian police as well as from Senegal. For this reason, our police along with Karnataka police must quickly translate the documents relating the criminal charges against Ravi Poojary and submit them to the Court in Senegal. In this way it is necessary to further strengthen the legal process required to extradite the criminal from Senegal to India, opinion legal experts. Speaking with “Udayavani” regarding the Ravi Poojary issue, Home Minister M B Patil said, “The state police are engaged in work of providing all the required documents to Senegal for the extradition of Ravi Poojary to India. I too will direct the police to not to cause any form of delay. Anyhow, the legal process that has to be done from India will be undertaken with even more pace,” he assured. “I have no information regarding the competition between officials in the police department on who would get the credit of bringing Ravi Poojary to India. In case there is any sort of difference in opinions or confusion, it needs to be sorted out and necessary action will be taken for the current issue,” he said. 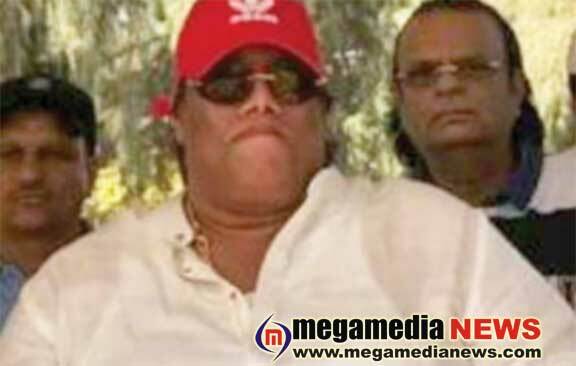 It is being said that a “Credit War” has started between officials of the police department regarding who will get the credit of bringing Ravi Poojary to India. In other words, the final decision has not yet been taken regarding what level official will go from the state to Senegal for the legal process to submit the documents to the Court there. It is being heard that because of the competition between the officials in connection to Ravi Poojary case, a little delay is expected to take place in sending the required documents for Poojary’s extradition.